Nutritious and delicious, Gusto Mature Lite is a delicious dog food rich in beef and poultry with added vegetables, vitamins and minerals. 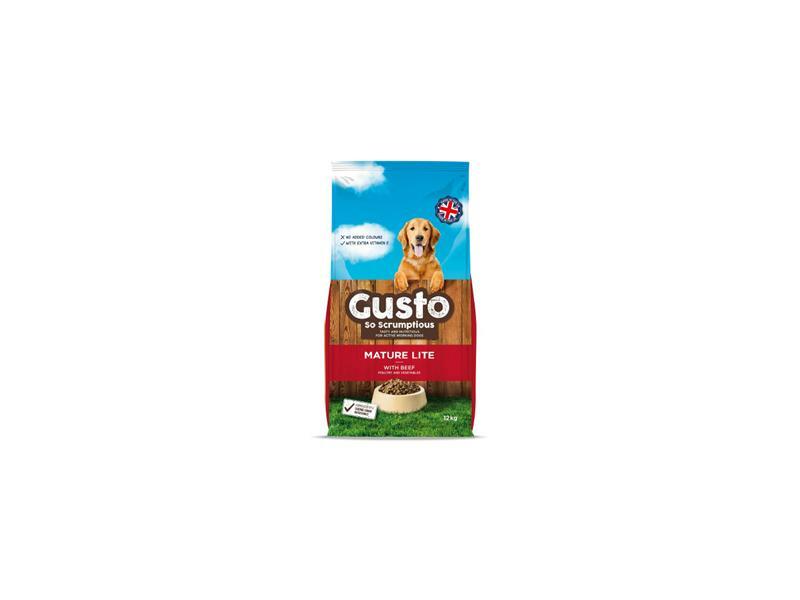 Containing functional fibres which help support healthy digestion and a lower fat content to help maintain a healthy body shape, Gusto Mature Lite is ideal for older dogs. It also contains natural antioxidants to keep each bag fresh and tasty and has no added colours. Can be fed dry or moistened with water or gravy to the consistency your dog prefers – let them decide! There are currently no questions for Gusto Mature Lite - be the first to ask one!